Boxer Workstyle: Tested and Launching at 43 Locations! 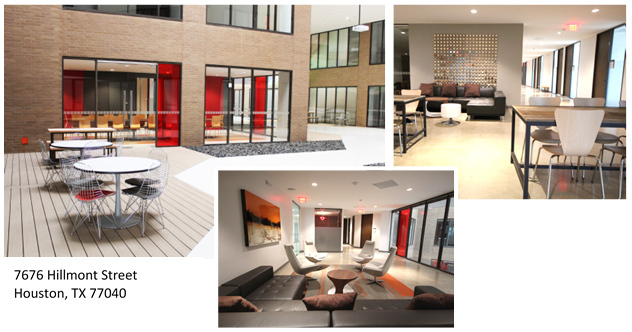 October 29, 2015 (Houston, TX) – Following completion of two office buildings using its unique Workstyle Executive Suites concept, Boxer Workstyle is pleased to report the results of its test model project. Boxer Property launched the Workstyle Executive Suites test model project in early 2013. The study involved the remodeling of two office buildings in Houston, Texas, using their unique Workstyle concept. The first location, at 2855 Mangum, in Houston, was a small office Workstyle test model. The second location, at 1322 Space Park in Clear Lake, Texas was a larger scale project. The project aimed at improving quality of life in the building by adding amenities the whole building could utilize. The purpose of the test model project was to study the reception by businesses, small and large, looking to rent amenity rich office space at a low price in Houston, Texas, to buildings constructed under the Workstyle concept. As soon as the two model buildings were completed and open for tenants, the response was overwhelming. Tenants quickly filled the buildings. The project was so well received and the increase in leasing activities so dramatic that Boxer immediately implemented the Workstyle concept across its entire development portfolio. To date, Boxer Workstyle has completed 430,000 RSF of executive office suites. What Does the Workstyle Model Look Like? The Boxer Workstyle model involves the total rebirth of an existing office space. The suite is usually gutted to the studs and redesigned using a contemporary, open floor plan. Open design and flexible space is a key feature of the Workstyle concept. The look is modern, clean, and inviting. Glass walls and lots of windows flood the interior with natural light. Workstyle office buildings bring “Fortune 500” style high-end finishes and amenities to small and mid-size businesses. 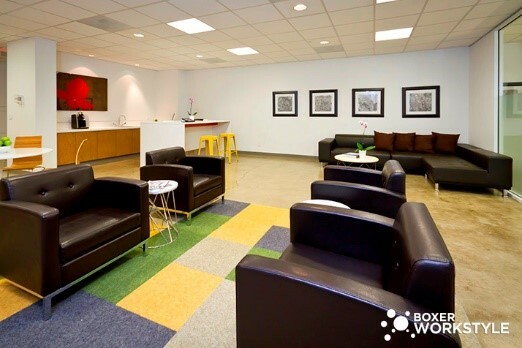 Some of the common area amenities that are available in Boxer office buildings include free Wi-Fi, a complimentary coffee bar, conference rooms, collaborative spaces, 100% private offices, mail room, gym, day care, and 24-hour access with 24-hour security. Boxer now plans to feature Workstyle amenities and high-end finishes in all of its future office building projects. The amenities provide an unprecedented gateway for small business owners and employees to connect and form business to business relationships with other companies sharing their office space. Boxer Workstyle definitely has an energetic expansion plan for the future! At this time they plan to have up to one million square feet of affordable office space ready for tenants in the near future. They are currently developing 24 locations in Houston, 8 in Dallas, and 11 in other markets around the country. Nearly 400 new tenants are projected to be working in Workstyle office spaces by the middle of 2017. 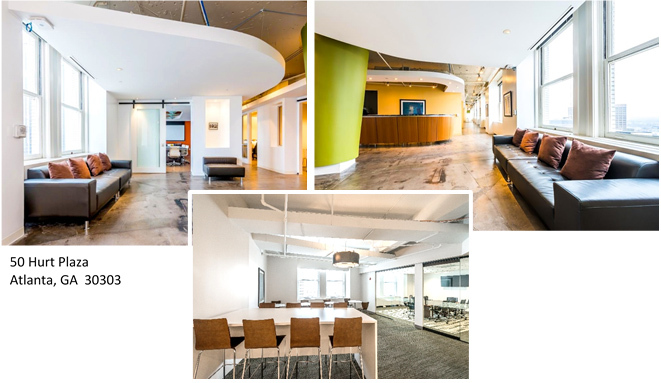 Recently finished Workstyle projects include 7676 Hillmont Street, in Houston, 1910 Pacific, in downtown Dallas and 50 Hurt Plaza in Atlanta with additional locations being developed through 2015-2016. We’ve started on our most recent Workstyle office in Houston’s Energy Corridor at 13501 Katy Freeway. You can see photos of the Workstyle office at the energy corridor at the official site.